Providing you the best range of pole boxes, frp pole boxes, light pole boxes, street light pole boxes and road pole boxes with effective & timely delivery. 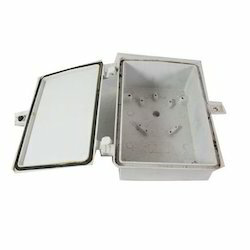 The high quality grade Pole Boxes-MPB 3020 IB-SO & TO boxes are offered with dimensions of 300 x 200 x 125mm with inbuilt termination system having Top opening door arrangement & Plain Boxes with Side Opening Arrangement. Both these Boxes are available with an arrangement to accommodate additional / extra accessories such as Fuse base, Din Rail Patti, MCB etc. These are available in SMC & or DMC. With the active support of our team of experts, we are engaged in offering a wide range of MPB 2520 P Light Pole Boxes of high precision. These high grade products are offered in diverse materials such as DMC and SMC configurations and finishes. 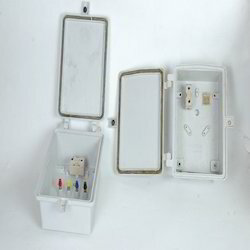 Our plain boxes are provided with a provision to incorporate external terminal plates along with MCB or kitkat Fuse attachment having top opening door. Our company is engaged in manufacturing, supplying and exporting a wide range of Street Light Pole Boxes MPB 1713-P. These are smaller boxes having dimension of 170 x 135 x 100mm which are widely used in private societies/ established & gardens. These boxes can accommodate 63Amp. terminal plate & MCB. These boxes are made out of superior grade of SMC/DMC. They have top opening door facility. We are engaged in manufacturing and exporting of a wide range of Road Pole Boxes (MPB 3020 P-SO). These are having side opening door arrangement and can accommodate external terminal plate or any other clip on type terminals. Special gasket provision is offered that ensures water tightness. 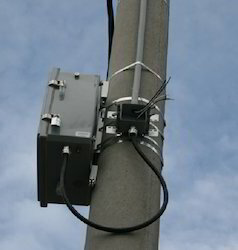 The entire range of Pole Boxes (MPB 3020 P-SO) is offered as per the application needs of our clients.